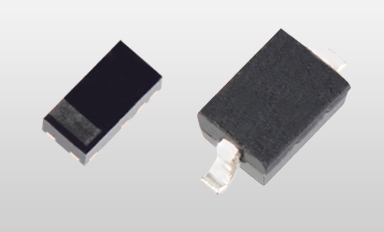 Toshiba Electronic Devices & Storage Corporation today announced the launch of “DF2SxxP2 series,” a new series of TVS diodes that protect USB power lines and power supply connectors used in mobile devices. Commercial shipments start today, and each of the six products in the series will be rolled out in turn. Application of Toshiba’s original Zener diode process to the DF2SxxP2 series has lowered dynamic resistance to 80% that of current products, securing instant absorption of electrostatic discharge (ESD) and noise. The diodes also realize a high peak pulse current rating about 32 times larger than that of current products, which contributes to system reliability, while keeping electrostatic discharge unchanged at 30kV. The new diodes protect the power lines of smartphones and tablets by suppressing malfunctions and damage from ESD, noise from induced lightning that enters via the power cord and signal cable, and transient voltage at the time of turning equipment on or off. They can also be used to protect the USB Type-C™ charging lines (VBUS = 5V to 20V) that will be widely used in the future. Power supply connectors for mobile devices, such as smartphones, tablets, laptop PCs and portable battery packs. Equipment with a USB connector, such as projectors, printers, digital still cameras, point-of-sale terminals, testers and LCD displays. Compared with the current 5V line product. The peak pulse current rating differs depending on the voltage class. *USB Type-C is a trademark of USB Implementers Forum, Inc. Follow the link below for more on Toshiba’s TVS diodes line-up.